Several inmates at Wabash Valley Correctional Facility have announced that they have begun a hunger strike to protest their deteriorating conditions. Their immediate demands include removal from camera monitored cells, relocation from abusive staff, and the cessation of tampering with food and the confiscation, reading and withholding of mail by administration. The announcement follows a sequence of escalating problems that have unfolded in the prison for the past several months, rekindling a too-long-dormant culture of resistance to the policies of the Indiana Department of Corrections (IDOC). Last year, a significant challenge to the censorship of Afrocentric literature such as the San Francisco Bay View, which affects all prisons in the Indiana Department of Corrections, began a process of increasing clampdown on political prisoners. This was merely the spark which lit the fire. The hunger strike now in motion has its origins in the entire structure of the IDOC in particular and of mass incarceration in general. Wabash Valley has taken this practice, widely recognized to be a form of torture, to new extremes by indefinitely detaining inmates in isolation cells monitored 24 hours a day through video surveillance. 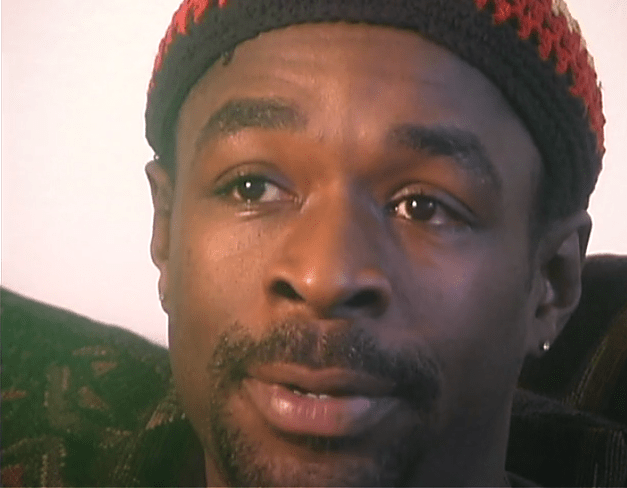 Shaka Shakur, a political prisoner currently incarcerated at Wabash Valley, has demonstrated how these cells are intended to function as psychological torture, and the policies which are supposed to govern their use are flagrantly violated by administration. Shaka Shakur, a political prisoner currently incarcerated at Wabash Valley, has demonstrated how these cells are intended to function as psychological torture, and the policies which are supposed to govern their use are flagrantly violated by administration. The selective treatment of politically conscious inmates is not limited to isolation and surveillance, however. Prisons in Indiana have developed a parallel judicial system in which the civil protections available to free citizens are completely absent. Inmates are consistently penalized and charged with internal violations which can result in their placement in isolation or loss of “good time,” which by Indiana code cannot be regained. In these faux-courts, prisoners are deprived of any right to representation or possibility of viewing the “evidence” used against them. Charges are often brought as a form of reprisal, beginning with disciplinary reports filed by disgruntled or sadistic guards looking to punish inmates for refusing passive obedience to their oppression. The increasingly severe forms of repression are manifest on all levels of the IDOC and effect all inmates as well. Several trends have coalesced and finally culminated in an irreconcilable crisis. The current landscape of the IDOC is the result of these trends, primarily the entrenchment at the tops levels of executive administration of old-guard prison staff experienced in the ways of prisoner abuse, the construction of prison facilities in rural, economically depleted areas, which produces a situation that pits the solidarity of largely euro, or “white,” communities against predominately non-euro, or “white,” prisoners, and finally the privatization of all aspects of prison operation and management. These trends mutually influence and extend one another, creating an increasingly antagonistic atmosphere, resolvable only through the initiative of prisoners in taking all measures to reassert their humanity. The current crisis can be explained only by observing these facts. For example, guards in the Security Control Unit at Wabash Valley leverage their familial and professional ties to maintain impunity while threatening and intimidating inmates under their “protection.” The former commander of the SCU, Lt. Gary McMillin, consistently stated that he would “stand by” his guards whenever they filed disciplinary reports. Reports are supposed to be reviewed once filed and approved by the lieutenant before any action can be taken against an inmate. In this case, those reviews were performed by Mr. McMillin’s wife, Mrs. S. McMillin. Her “reviews” tend to result in conviction rates that would make any prosecutor blush. The result of this circle of corruption? More good time lost, more years spent inside, more money to J-Pay, Union Supply, Aramark and Global Tel-Link. On the state level, the IDOC just this month “reviewed” its new mail restriction policies. As many know by now, inmates can no longer send or receive correspondence unless it is written on lined, white paper in a white envelope. The IDOC claimed this was to counter drug trafficking, but has provided zero data on the flow of drugs into the facility coming through mail. Ironically, the only confirmed source of trafficking in the recent past is that conducted by a former corrections officer at Wabash Valley. There are no indications that the mail ban will be overturned, and more inmates and their families are forced to go through J-pay for all correspondence and, increasingly, visitations. Inmates can no longer send or receive correspondence unless it is written on lined, white paper in a white envelope. The IDOC claimed this was to counter drug trafficking, but has provided zero data on the flow of drugs into the facility coming through mail. Ironically, the only confirmed source of trafficking in the recent past is that conducted by a former corrections officer at Wabash Valley. There are no indications that the mail ban will be overturned. The current crisis is the latest iteration of the fundamentally racist and increasingly corporatist exploitation at work in the IDOC. The kinds of oppression outlined here are well-documented as ineradicable aspects of mass incarceration in Indiana. Indeed, the conditions in Indiana prisons were meticulously outlined in the 1997 Human Rights Watch Report, “Cold Storage: Super-Maximum Security Confinement in Indiana.” Since that time, conditions have only worsened. Now inmates are fighting back. Their selfless struggle deserves the widest possible, most dedicated support. 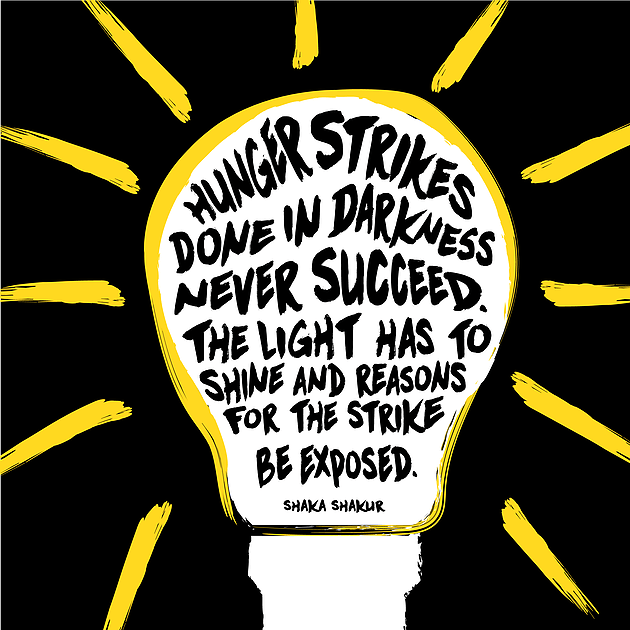 IDOC Watch firmly stands with Shaka Shakur and all the hunger strikers. We demand that their demands are met, and further that an independent investigation be permitted to inspect the facility. Those will be the first steps, and very far from the last, in a long march toward eradicating the unjust, racist prison system in Indiana and, one day, the United States. Information on Wabash Valley and the case of Shaka Shakur can be found on our blog at idocwatch.org. Visit IDOC Watch on idocwatch.org and facebook.com/idocwatch and email them at idocwatch@gmail.com. Well this is just stupid, Mr. Shakur is as much of a “political prisoner “ as I am king of the moon. He was placed in the shu for assault of staff and even while in the shu, Shakur slipped his cuffs and stabbed another C/O. Thankfully Shaka Shakur will only leave prison horizontally and not be a danger to the rest of society. led police on a high-speed automobile chase…"
Fake news is morally bankrupt.